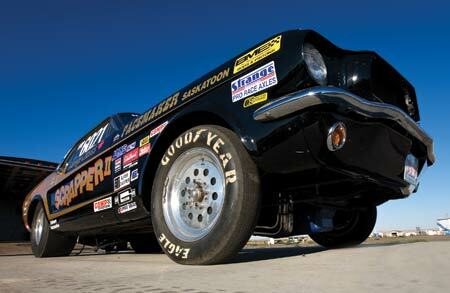 A world record holder 6 cylinder Mustang takes on all comers! The Scrapper “program” began in the late ’60s on a farm in central Saskatchewan, Canada. While most racers of the day were building V8s, Norm Hess was busy stuffing a highly modified Ford 300 inline six in an early sixties Falcon. He raced the car at the local NHRA track – SIR (Saskatoon International Raceway). 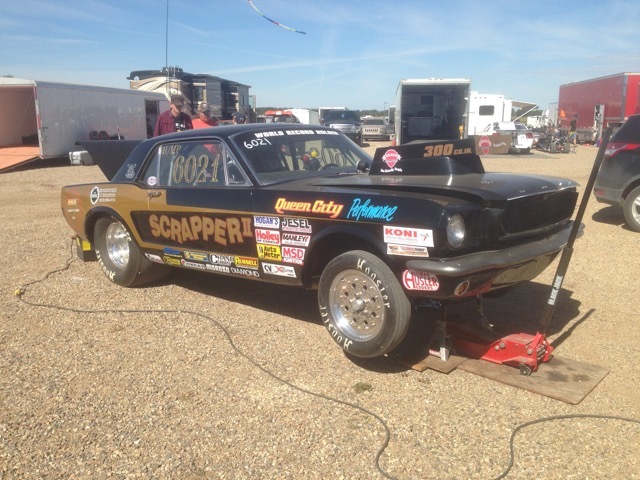 The car was known as “Scrapper” and raced in the H/MP class. The class was an NHRA sanctioned class for six cylinder cars back in the day. 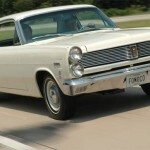 In the following years, the Scrapper Falcon was replaced with a 1964-1/2 Mustang. The power plant remained the same though, and the car became known as Scrapper II. Norm was then, and is still now an absolute genius when it comes to the Ford 300 inline six. 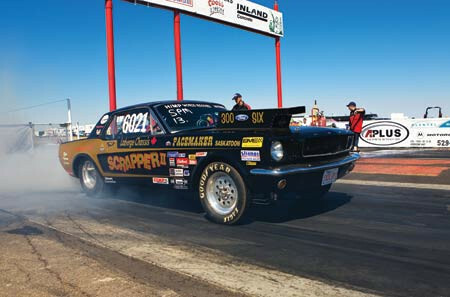 Norm was able to come up with an engine combination that made enough power to take the Scrapper II Mustang below the 11 second mark. Scrapper II eventually became the H/MP world record holder in the mid 1970s – a crown that it proudly wore for two seasons. Scrapper II could break the beams in 10.80 seconds, making it truly a force to be reckoned with. I first saw the car as a 16 year old. I have always been a Ford enthusiast, and eventually that enthusiasm moved to drag racing. My friends and I would make the 200 mile trek to SIR on race weekends to be part of the sport. It was there that I first saw Scrapper II. 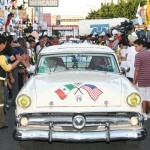 The car was a crowd favorite from day one. Scrapper II was the perennial underdog, often pitted against the V8 cars. This must have been where the name came from – this car was truly a scrapper in every sense of the word. The 300 Six would scream as it made its way through the various fields, often ending up in the final rounds and always against cars with much bigger motors. As is always the case, all good things must come to an end. In the late ’70 s Scrapper II’s days were numbered. Norm’s new interest for the 300 six was tractor pulling. The motor and trans from Scrapper II was taken from the Mustang and put in a modified pulling tractor. 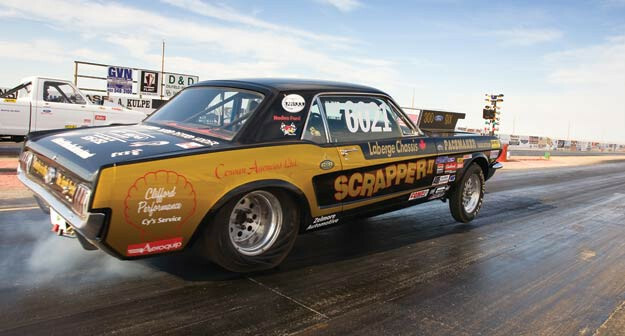 The days of Scrapper II terrorizing the drags strips in the Northwestern U.S. and Canada had come to an end. Fast forward to 2005. After years of not being a die hard race fan, a couple of trips to the local track soon had the desired effect. Now in my late 40s, it was time again to rekindle racing aspirations first felt as a boy. The easiest thing to do was to get a Fox bodied Mustang, put a big motor in it and go racing. That however, was not the plan. I embarked on a search for the car that first peaked my interest in the sport. Twenty-five years after Scrapper II was retired, I started the hunt for the car. Eight months later, after an exhaustive search and running into many dead ends, I found her only 25 miles from where Norm Hess first put her together. Over the twenty-five years Scrapper II went through many hands. There is even a story about her being stolen and hidden behind a barn for many years. None of that made any difference. I found her and the plan was to restore her to former glory. The resto was going to happen at a fast pace. In November 2006, she was taken to Ron Laberge where she received a 4 link rear suspension and a 14 point cage. Back in the day, Scrapper II had a Dana 60 – and true to form that is what was put back in. This one has 4.88 Richmond gears, and Strange axles. My goal was to make her as close to what she once was, but at the same time to make her a modern, safe race car. Scrapper II was also fitted with 4 wheel disc brakes, new RCI seat belts, and window net. 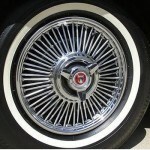 Ron had a set of vintage race wheels that closely resembled what she wore back in the day. The wheels were fitted with some new front runners, and 29.5x11x15 slicks out back. She also received a 5 gallon fuel cell and a Barry Grant fuel pump and fuel management system. Our goal was to make the new Scrapper II a fitting tribute to her in the glory days. She received a G Force 5-speed trans with a vertical gate shifter. She has a Hyatt racing-prepared McLeod single disc slider clutch. There is also a McLeod scatter shield, and a Hayes aluminum flywheel. For the power, we started with a 300 block from a 1969 F-150. We tracked down a NOS steel crank. The rods and pistons back in the day were custom units from BME, and true to form we use BME rods and pistons today; we have a final compression ratio of 11.6:1. The head was race prepared by Clifford Performance; it’s been ported, polished, and fitted with larger intake and exhaust valves. Schneider Cams provided a custom ground roller cam and lifters, along with valve springs. The engine also has a Ishihara Johnson Crank scraper and an ATI super damper. 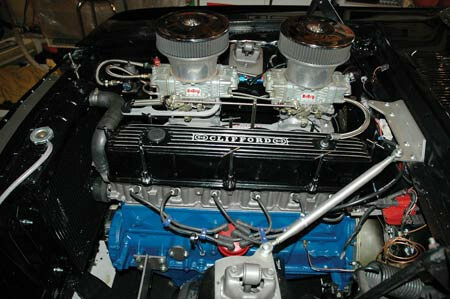 We use a Clifford Performance dual 4 bbl intake and a pair of Holley 650 double pumpers. 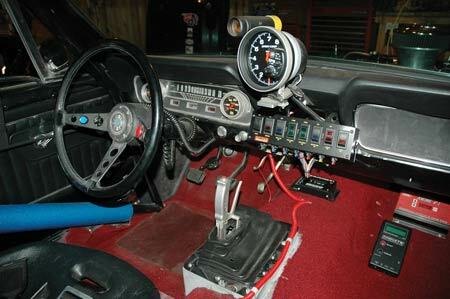 Under each carb is a 75 hp shot of N02 courtesy of Edlebrock Nitrous systems. Back in the day Scrapper II used a Weber induction system, but we opted for the more conventional carb set up. The headers are a fully wrapped set from Clifford performance – modified to fit. Overall we feel pretty comfortable that the car will consistently run in the mid-elevens. It could surely go faster by adding some additional juice, but right now we’re just having a little fun beating up on those V8 Chevys and Mopars. 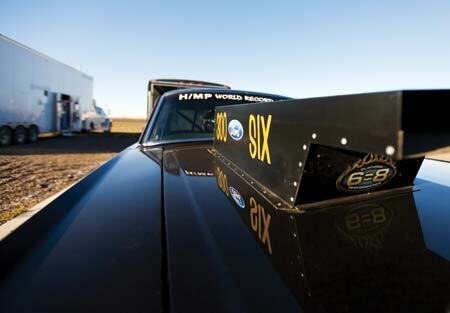 The thought of getting whipped by a six banger Mustang puts the fear of God in the competition! A nice little Secretary car eh? LOL!!! Sweet ride! Nice job!!! 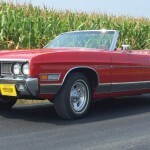 The early falcons had 200s, not 300s.. which motor does this car really have? I read it again, I assume a late 60s 300 was used. Thanks! 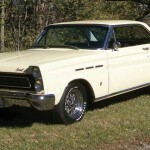 You are right, the Falcon had a 200, this one had a 300, the 300 was never put in a car, it was a truck motor. 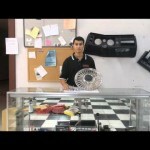 I heard the current owner put in a generic motors engine in it now, if that’s true, its a sad ending for a great car! My good friend Doug Gardner built the motors for Norm and in my old pics I have a lot of pics of the falcon painted and unpainted. At SIR a few weeks ago. The original owner’s family is looking for this car . They had an add on kijiji Saskatoon in the past spring 2016 they want to bring her home and place her back with all of her memorabilia of her racing past.